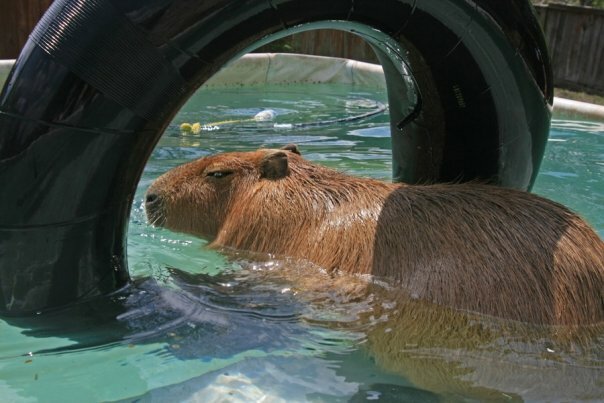 Found a couple of new articles about the capybara(s) at the Coney Island carnival. I read and replied to this one. 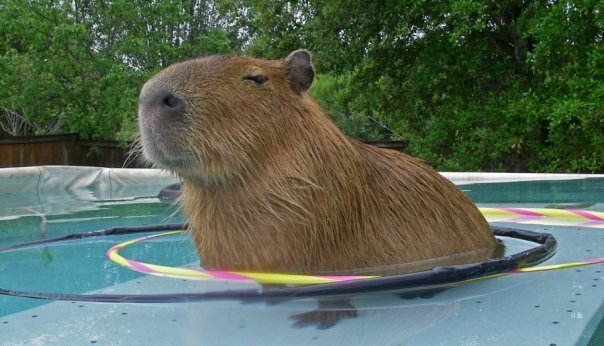 The good news is that the capybara’s situation is monitored by local authorities. 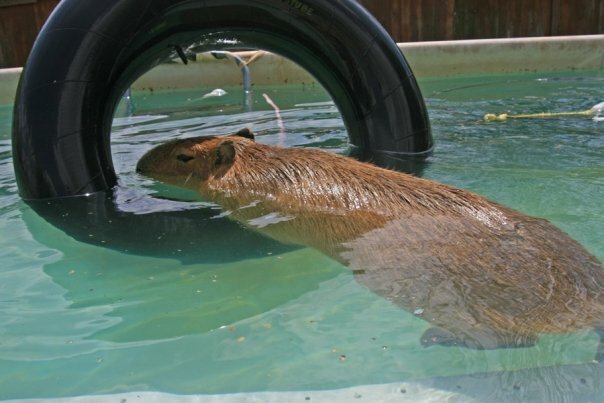 Another good thing is that the capybara is not there all the time, they are rotated out every three weeks or so, which explains why some people see an adult capybara and some people see a youngster. Here’s another article. This one even references this blog. 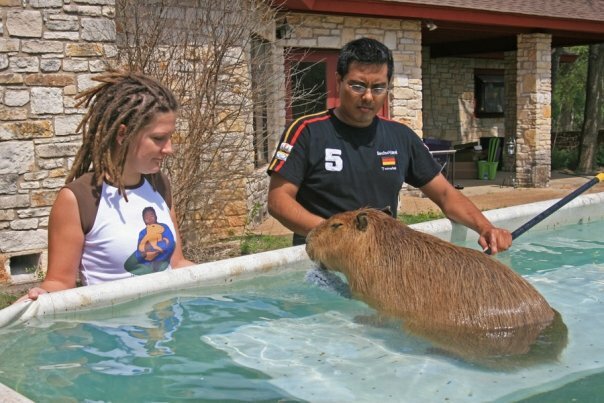 What my owner and I would like is for the poor capy to have some hay to sleep on and to munch, maybe a solid wall or two in the back where it could feel a little less exposed and a decent sized water bowl to soak in. I’m not saying it has to be able to swim or anything. Maybe something as big as a kiddie pool. It’s just we feel so much more comfortable in the water. One last thing. My owner and I are not against carnivals or carnival animals. There are always good and bad in any mix of people or events. Branding everyone in any group on the basis of a subset is prejudice no matter what the group is. Well, unless you’re in a hate group, like the IHC (I Hate Capybaras). 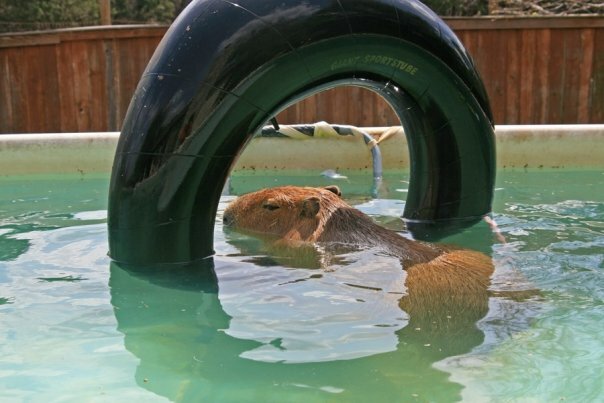 Thanks to Paula King for taking this video of a capybara at the county fair in Hamburg, NY. 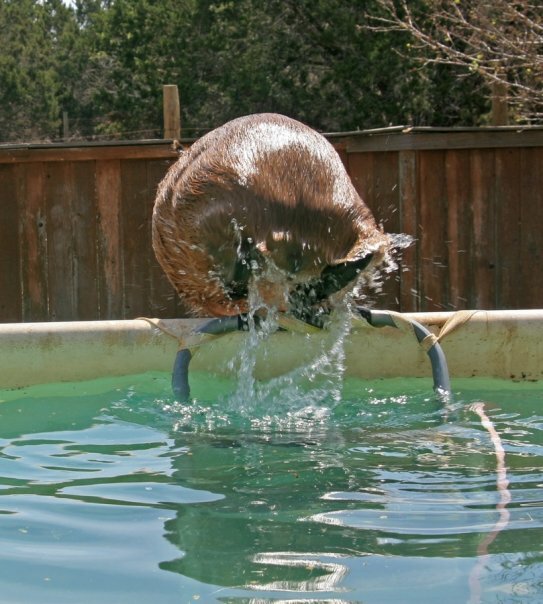 Notice that this capybara has enough water to roll in (this is a 50 gallon horse water trough, I have one just like it), a surface with traction and plenty of hay for munching on. 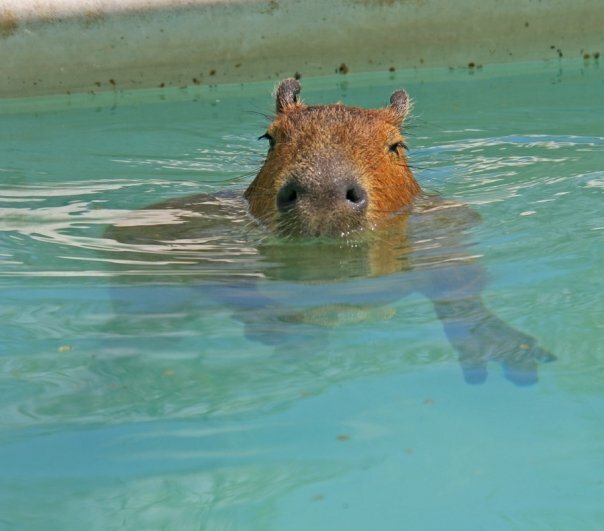 The water is pretty disgusting, but we capybaras poop in the water which makes it difficult to keep clean. I would assume we are seeing this late in the cleaning cycle and someone will take care of it soon. How difficult would it be for the Coney Island people to set up something like this? 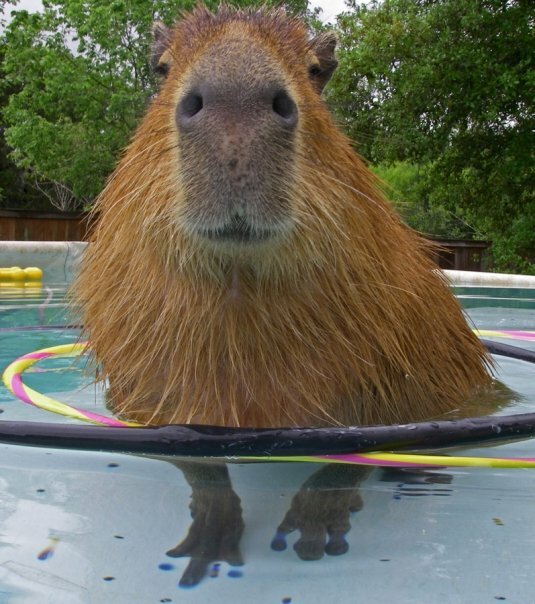 Not hard at all and so much better for the capybara! Please don’t call them Coney Island people! The sideshow owner is from Florida and came here this summer. They are renting space from the developer who bought most of Coney Island’s property to build high rise condos! This news about giant rats and five legged dogs is bad publicity for Coney Island. Thank you very much for update. It is still pretty outrageous, but at least somebody talked to the owner, and he sounds like a person who can hear for reasonable arguments.